The plough plays a major role in modern arable farming. 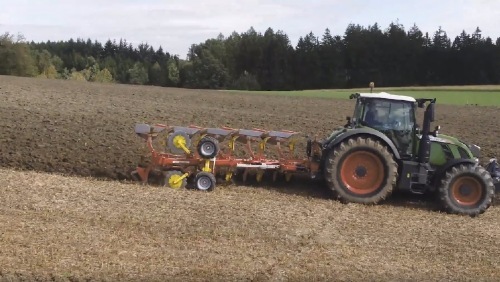 On no other machine, however, is the bandwidth of individual requirements (dictated by widely varying soil conditions worldwide) as wide as for the plough. In addition, requirements have been changed by modern tractor designs with new implement mounting geometries and an increase in tractor power-to-weight ratios. 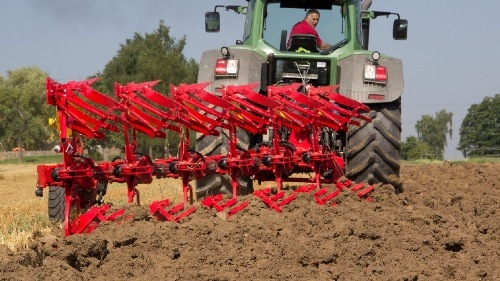 PÖTTINGER takes these new developments into consideration with the new SERVO 45 M plough series. These new, user-friendly mounted ploughs replace the previous SERVO 45 models and have been especially developed for the 140 to 240 horsepower class. The 4- and 5-furrow SERVO 45 M ploughs are offered as standard, PLUS (with hydraulic furrow width adjustment), NOVA (with hydraulic trip legs and a triggering pressure of 1,900 kg) and NOVA PLUS versions. 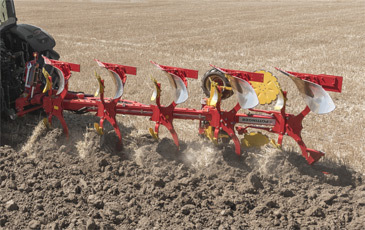 The new six-furrow SERVO 45 M ploughs are available as standard and PLUS models.